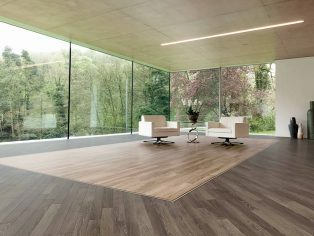 The UK’s market leader in luxury vinyl tiles, Karndean Designflooring, is launching new wood designs, available from September, as part of its long standing Da Vinci range. 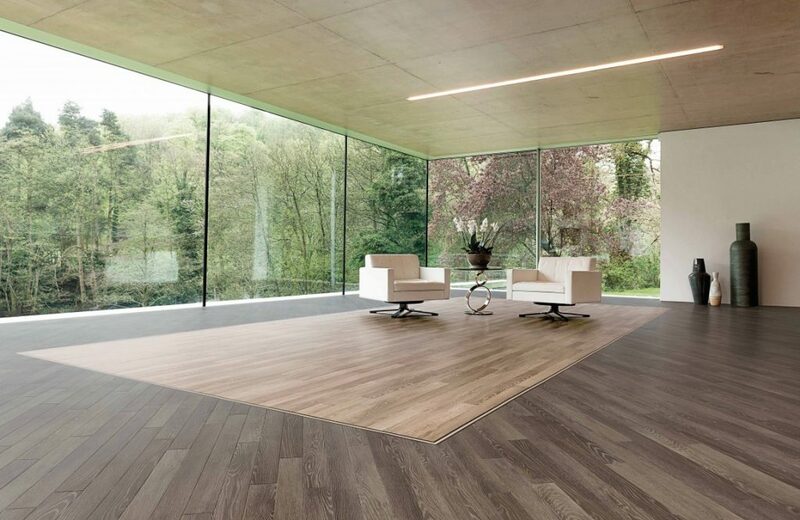 The Da Vinci collection, popular in commercial environments for its narrow wood effect planks, deep bevel and smooth finish will be further enhanced with twelve trendy, new ‘modern rustic’ designs. Heavily influenced by the trend towards reclaimed and repurposed materials in commercial spaces, the 36” x 3” distressed planks replicate the unique look that comes from the transformation of wood over time. The twelve new planks are split into two groups – the first group is made up of seven designs, including four modern limed planks and three classic oak looks, whilst the second group features three burnt and smoked designs alongside two worn, aged driftwood looks. The 0.7mm wear layer ensures the floor is able to cope with the intense demands of commercial projects and is easy to maintain, whilst offering the appearance of vintage products and a slip resistance rating of R10. Inspired by natural fibres and textiles, the soft muted tones of the four Limed Oak designs are enhanced with a striking lime-washed finish, accentuating the unique grain details of each plank. For a more traditional and clean-lined style, specifiers should look to the three classic Oak planks, available in three shades of light to mid-brown Oak. With subtle colour variation plank to plank, these products create a more uniformed finish in comparison to some of the ‘choppier’ more variable designs, making them the perfect match for any space. Karndean’s two new Acacia designs and Scorched Oak have been designed to replicate the look of burnt oak. Acacia woods are known for their subtle appearance and blending of even rich tones, epitomising the uniqueness of this species. Whilst the acacia designs feature gentle variation, Scorched Oak can only be described as a statement floor with its almost tiger-like grain and colour variation. The other two designs in this group mimic the gentle, sea salt worn features of reclaimed driftwood. The combination of saltwater, high winds and shipworms means that the natural tannins and nutrients are mostly drained from the wood before it’s found on shore as a partially decomposed driftwood wood full of unique character – all of which Karndean have been able to capture in the Coastal Driftwood and Beach Driftwood planks. With an option of two soft grey-brown tones, these distinctive rustic designs mimic the natural look of reclaimed timber without the practical drawbacks of real wood such as cracking, splintering or warping. With the slim line planks ensuring that even the smallest of spaces can be enhanced and in larger areas an impressive impact can be created, the design possibilities with this collection are truly endless. Available with a commercial guarantee of 20 years, the complete Karndean Da Vinci collection will now feature 20 wood and seven stone designs.